We are happy to announce that the 119.5 Release has been successfully deployed! 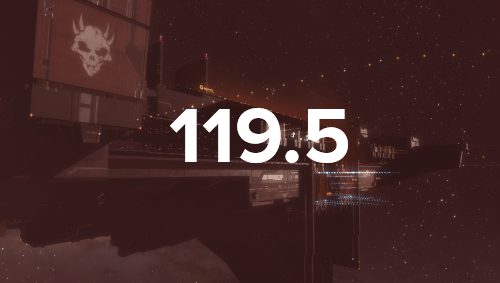 119.5 brings many changes to EVE Online, including Blood Raider Shipyards, the long awaited PLEX changes, Blood Raider capital ships, new visual effects for Suns, a new introduction video, Gifting via the New Eden Store, Alliance logos on citadels, new visuals for CONCORD frigates and cruisers, as well as the decomissioning of the old scanning system, and the new system being released from beta. You can check out details of all these features on EVE Updates. In addition to this, you can take a look at the full patch notes for 119.5 here, which gives an in depth breakdown of all the changes that have arrived with this release. For issues with the release on PC see here. For general discussion and feedback regarding 119.5, please use this thread. For discussion and issues related to mac, please use this thread. 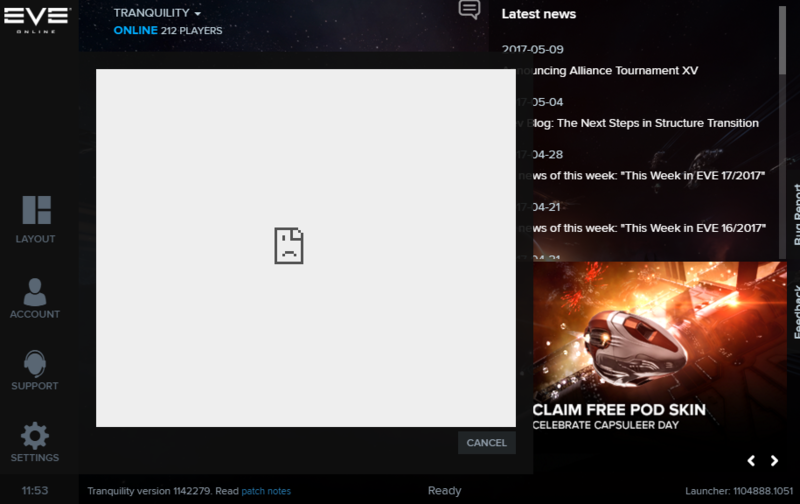 The launcher is not starting the client. What I see is a blank "connection has been reset" window within the launcher, with an option to close it. Would love to play but can't log in. When I hit the arrow on my account nothing will happen besides a popup opening in the launcher telling me "The Connection was reset" when I hover over it. Yay its all broken.. Same on all pcs.. Unable to patch, unable to log in, unable to play. The login issues should be resolved in about 10 minutes or so hopefully. Be sure to follow or bookmark the EVE Status twitter feed for updates on Tranquility. Drake Mining and Acquisition Inc. Same as above, can't Login, took me 30 tries to logon to the Forum to post this. 9 * * * Zeit-überschreitung der Anforderung. 10 * * * Zeit-überschreitung der Anforderung. 11 * * * Zeit-überschreitung der Anforderung. 3 times in a row. same as the rest, connection was reset at launcher. I would like to ask why does it seem that the launcher breaks every time we get a major monthly patch. I swear last major patch it broke then too. and i think the one before that and before that and before that going back a long long time ago. Why isn't it being caught durning VIP mode and QA? anyone managed to log in? Missing space in Fast Checkout for some currencies.